These Goldfishes are so Delicious! Ok so yes.. I love the Goldfish crackers that inspired the title. (Its my go-to snack for road trips.) During the 2014 Shop Hop I picked up some adorable goldfish fabric which I then set out to decide how to use. I came across this design that used some of the same fabric in combination with some small pieces and appliqué and it all snowballed from there. 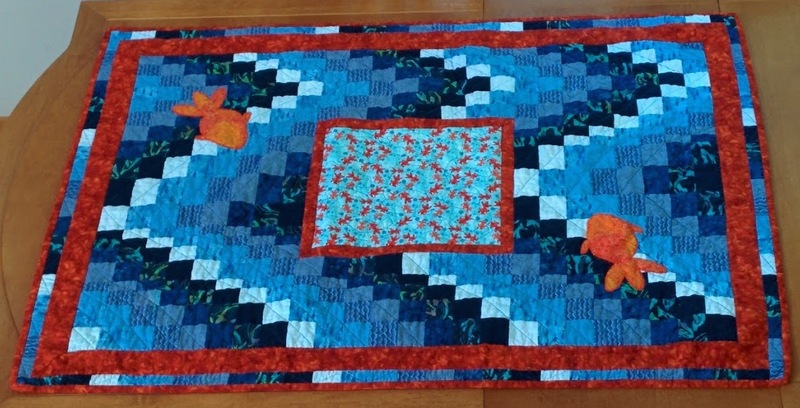 So today… I’m bringing out my Goldfish Bargello Quilt, fresh out of a run through the wash after I finished binding. I’d never tried a Bargello, but a tutorial on the tube method looked simple enough to give it a whirl. 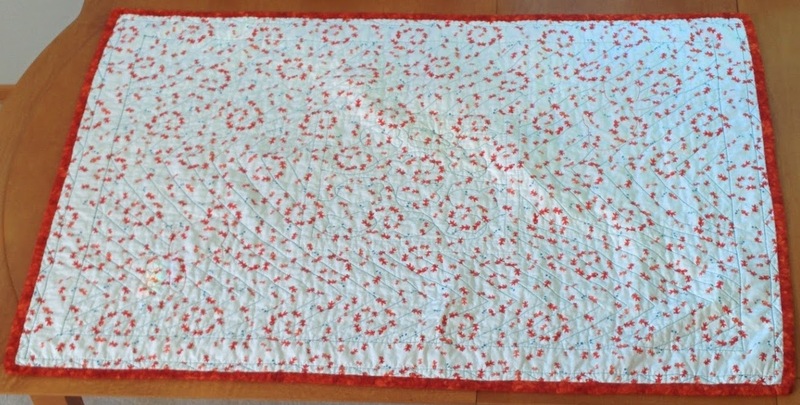 I tried to get a wee bit creative with my quilting on this one, and let’s just leave it at… I still need some practice. But it was a fun experiment all around and I think it turned out pretty darn cute.